Radio in the 1960's is a topic that really interests me. I love the zaniness of it all and how it is was about the music but also about comedy and silly things. 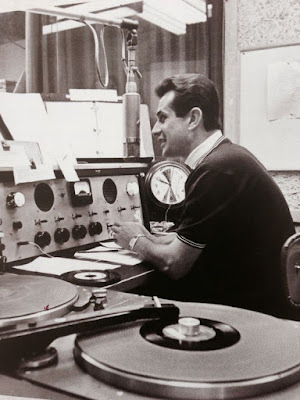 Dave Hull was the Beatles fan club president for KRLA radio in the 1960's and he has been mentioned on this blog many, many times. I thought it would be fun to read his autobiography: Hullabaloo! The Life and Misadventures of L.A. Radio Legend Dave Hull. Dave tells the story of his life with a lot of enthusiasm. From the stories in the book, you can tell that Dave has never done anything half way, and this book is included. He left no stone unturned and no story untold. He tells about his childhood and how he got his start on radio while in the service during the Korean War, when he was stationed in Africa. From then he began working at a small radio station in Roswell, New Mexico and continued to land in places including Ohio, Detroit and Florida before landing in Los Angeles, California. While at these small radio stations around the nation, Dave mastered his schtick as "the Hullabalooer" a wild and crazy guy with sound effects and silly jokes to go along with the rock n roll music he spun. By the time he was hired at KRLA, he had mastered his craft and quickly became one of the most well-loved DJ's at the station. He quickly became the "Fifth Beatle" and had an in with a guy at Capitol who would get the newest Beatles singles to Dave before any other radio station. This way KRLA always played the new Beatles songs before anyone else, which was a HUGE deal in those days. Dave was really gutsy when it came to Beatles things. He called Liverpool Information and got the phone number of George's folks. He called the number and used Mrs. Louise Harrison as his personal informant on all Beatles rumors and news. She gave him the lads addresses and tour schedule, which Dave blabbed on the air, much to the dismay of Brian Epstein! He also liked to sneak on airplanes. In 1964, when John and George was in L.A. with their girlfriend/wife after the Tahiti holiday, Dave sneaked onto the plane and interviewed John and George. He and another DJ from KRLA sneaked onto the plane again in August 1964 when the Beatles were leaving L.A. for Denver. They could have gotten in trouble big time for that one, but thankfully they didn't and they were able to get more interviews with the guys. 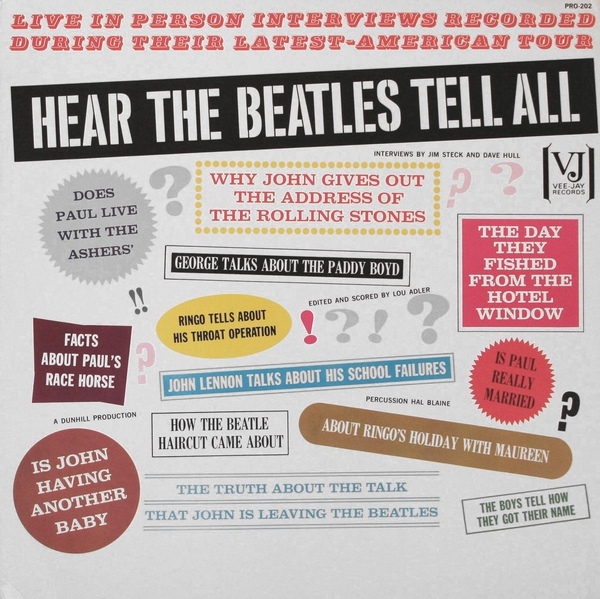 Some of those interviews were even on a record, " Hear The Beatles tell all" where whoever printed the cover misunderstands Dave and quotes him talking about "The Paddy Boyd." Dave even got to travel with Derek Taylor in 1965 to the Bahamas and interview the boys on the set of Help!. After the chapters about the radio in the 1960's, I think the book got a little long. There were some funny parts about the comedy things Dave did on the radio (Loveline, Dial a Date and some other shows) in the 1970's, but over all the last part of the book dragged a little bit. However, I think if you remember hearing Dave on those shows at the time, you would really enjoy reading about it. One thing that I found to be distracting in the book is Dave used titles of Beatles songs (and other songs from the 1960's) in his writing. It just didn't work for me. It seemed forced and cheesy. This book was a bit long at 600 pages. I think he could have been cut down some, but overall it was still a fun book to read. If you were a teenager in the L.A. area, you will most definitely love this book. I am sure it will bring back a lot of great memories for you of a simpler time for American radio.